IT’S TAKEN 10 full-on years – longer if you count the heartbreaking years of a daughter’s illness – but Joan Hamilton’s dream of a residential, farming community where people with mental health difficulties can work to rebuild their lives is about to become a reality. A force of nature when it comes to getting things done, Hamilton is the woman behind the Slí Eile farm project, behind Villa Maria (the Slí Eile pilot venture running in Charleville, Co Cork for three years now) and behind the venture’s vision of “an Irish society which accepts people’s mental illness and confusion and supports their unique journey to recovery”. 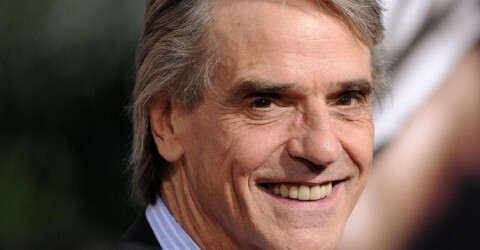 The Slí Eile farm fund was launched last week by the project’s patron, actor Jeremy Irons. Speakers at the event included Healthplus columnist Tony Bates, Prof Ivor Browne and Carmel Fox of the Cork County Development Board. 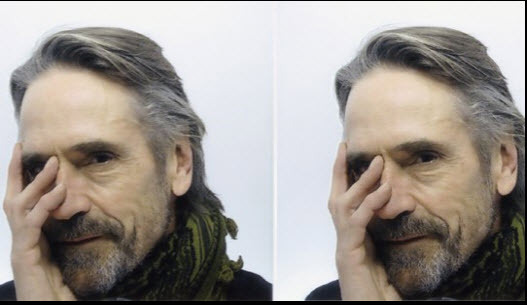 Irons, in a heartfelt speech, spoke of everyone’s right to self-respect and a sense of worth, about the importance of mental healthcare, his belief that Slí Eile Farm was both “terribly important and made sense” and his conviction that it would succeed “because of our fantastic leader, Joan Hamilton”. Similar farm communities in Massachusetts and Ohio have been guiding influences in the development of the Slí Eile model. There is support, too, from Jersey in the Channel Isles, where Joan Hamilton was born and lived until she met Gerry Hamilton, the Irishman she married and came to live with in the Co Cork village of Dromina more than 40 years ago. She spoke about it on a recent sunny day at Villa Maria, where the pilot project is now providing accommodation for five tenants and one support staff. The cared-for gardens were ready to bud if not bloom, tenants were engaged in the daily schedule of work (including baking bread and scones which are supplied to the local community) and the house cat was stalking this reporter. The germ of the idea goes back even further. Geraldine is the third of Joan and Gerry Hamilton’s six grown children and her mental health difficulties began as a teenager in the 1980s. In 2001, as co-founder of Cork Advocacy Network, she organised a stake-holders conference entitled Is There Another Way? in Cork city. “Vincent Browne chaired the day and more than 700 people turned up. It was a great success. From a reading of Toxic Psychiatry by Peter Breggin I’d learned about therapeutic communities, so the idea took root, but I didn’t know how to go about setting one up. She set about the difficult task of getting funding for social housing. “Villa Maria was achieved after a series of abortive attempts due to problems caused by the stigma and attitudes to those with mental health difficulties. With a larger community, “something that’s going to continue long after me” in mind, she spent two weeks last year working as a volunteer at Hopewell community farm in Cleveland, Ohio. There’s been the recent, added momentum of enthusiastic support from Gould Farm in Massachusetts too, a community which dates from 1913 and is the oldest such in the US. Slí Eile farm will provide a supportive living environment for up to 16 people with mental health difficulties. Everyone will be involved with the daily running of the farm, which will provide housing for at least two residential staff, four volunteers, a residential events venue and farm shop. Allotments will be available to families in the area, all of which will make for social interaction and revenue. The Slí Eile farm fund aims to raise money for the purchase of 80-100 acres as well as for staff, buildings and more. Joan Hamilton has developed and managed her own food processing business, been involved with local tourism, small businesses and administered EU Leader funding. As executive director and founder of Slí Eile farm she projects it will break even by 2014. The projection that it will bring hope and inspiration to the area of mental health care in Ireland is a given.